The first portion of the tour is a guided visit to the theater backstage, including its exposition of marionettes. 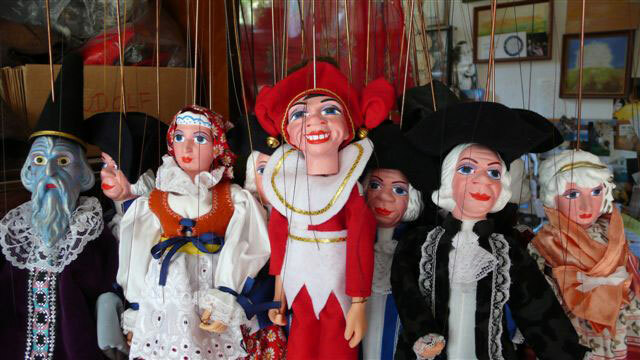 Marionette theater and production have several hundred years of tradition in the Czech lands and the most popular marionettes here are those guided from above. Czech artists achieve true mastery when working with them. During the Communist years, when much artistic production was forbidden, many skilled artists turned to the micro-world of marionettes and brought in many new inspirations. The second part of the tour focuses on marionette production. 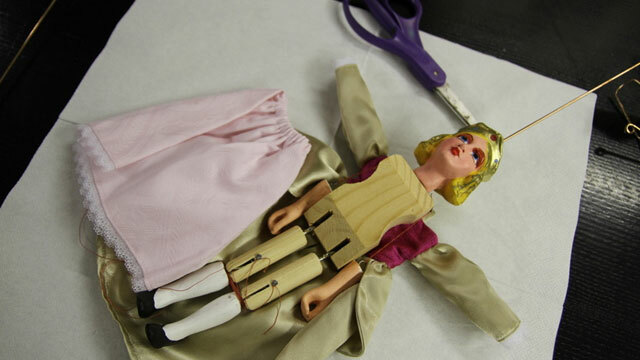 You will be able to select one of the three sample marionettes, and with our assistant’s help, create the marionette and bring it to life yourself. You will receive a personally hand-made souvenir from your stay in Prague, as well as see a show in one of the most famous marionette theaters in the world. Non-alcoholic drinks are available during this workshop for refreshment.